#10. You’re highly sensitive, emotional, idealistic and lonely. Gifted people are cynical, logical and objective and prefer being alone to think. #9. You have multiple interests and can’t decide on one career path. Gifted people pick one thing, stick with it and achieve greatness. #8. You start many projects that you don’t finish. Gifted people finish things. #7. You didn’t excel in school. Gifted people always get straight ‘As’ and never have learning disabilities. #6. You grew up in a seriously dysfunctional family. Gifted people come from happy homes. #5. You daydream a lot, can’t decide what color to paint your bedroom, and forget to tie your shoes. Gifted people make decisions easily, don’t daydream and never forget anything. #4. You’re terrified of failure and have exceedingly high standards so you avoid taking risks and you procrastinate. Gifted people learn quickly with no effort and get things done on time. #3. You’re afraid of success so you hide your abilities. Gifted people love to succeed and always do. #2. You feel overwhelmed by the suffering in your community, your country and the world and you need to do something about it. Gifted people don’t get overwhelmed and they solve problems easily. They’re self-absorbed and only care about how smart they are. #1. You aren’t Elon Musk. 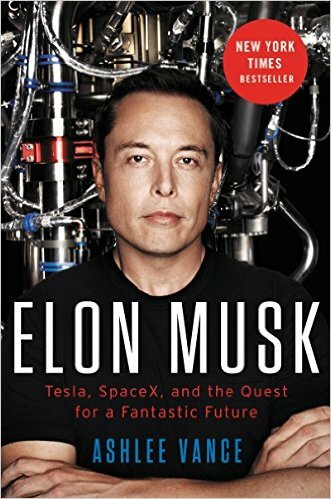 Gifted people send rockets into space, build fancy electric cars, and create thriving clean energy companies all at the same time. And they’re rich. Here’s the thing, dear readers. What gifted people supposedly do or supposedly are, as listed above, may be true, for some. But from where I sit, in the world of the rainforest mind, it’s not so simple. All of these other things that you probably are– sensitive, emotional, idealistic, empathetic, perceptive, analytical, daydreamy, terrified of failure, curious, questioning, compassionate, creative, loving learning, perfectionistic, overwhelmed by suffering, needing to make a difference–all of these things, and more, are what make you smart, what make you gifted. And I bet, if you asked Elon Musk, well, he’d agree. To my blogEEs: I’ve heard from several people how your comments are just as intriguing as my posts. (well, maybe my posts are a teensy bit more intriguing…) So, my dears, keep them coming. Your thoughts, feelings, reactions and questions add so much. Thank you. Tags: achievement, gifted adults, loneliness, mental health, multipotentialite, perfectionism, procrastination, sensitivity, smart | Permalink. Your posts always make me feel a little more human instead of the alien-hybrid I feel like I must be compared to the rest of the world. I have thought all of the above things, especially during those moments when others don’t understand me…like the time I drifted off into the piano melody playing in my mind and the choir teacher made a huge scene making me feel so small and stupid in front of the entire high school. (I’m 35 and that memory still haunts me.) I still don’t feel like I fit anywhere and I’m trying my best to make my own way, but it’s hard. Thanks to you and others like you I am learning to give myself grace and believe in my abilities. I feel my confidence growing and my happiness too. It’s an up and down journey…but progress is being made. Thank you! I’m happy to hear that progress is being made. I think you’ll find a lot of “alien-hybrid”s here. Glad to have you! Great timing for me to read this article. I had just been musing about how I don’t have one particular passion and wondering what I”ll do once my homeschooling/parenting years are over. It feels like the agony of choosing a college major again. You might enjoy watching Emilie Wapnick’s TED talk on multipotentialites. Thanks for writing, Catherine. Great suggestion! Thank you! I enjoyed watching and relating to Emilie. LOVE that I found your blog, too. Your site and the book, The Gifted Adult have been very helpful to me. Thank you for writing, Nicole. This is really good. I have to say, I feel kind of proud of myself. Increasingly, I am feeling more and more secure in who I am. I don’t think I’m dumb. I can tell the truth about the differences between myself and others in my life without either devaluing or over idealizing either myself or the other. I feel greater acceptance of what is. You bring up important points here that I’ve heard from others. Not realizing what the difference is and being so bewildered. Thinking that everyone must see what you see. And then the difference in “confidence.” Yes, I see that a lot. It seems that the gifted mind questions itself more than the less gifted mind. So that’s confusing, too. Yes, so much this bewilderment at the convictions, actions, and limited understanding of others. Not necessarily all at once, but if there is one thing I wish someone would have told me ages ago it’s “Other people can’t see the world that way.” I wasted years of my life thinking I was just no good at explaining what I knew, saw, correlated, etc…. I couldn’t understand how such simple motivation could create actions or how decisions could be made so easily. I feel a sense of deep loss over “wasted years” too. Since your a Christian (saw on your blog), I will say this; I have really had to look back to see where God has been in my story. I have really come to appreciate the idea of the “Dark Night of the Soul” that Saint John of the Cross references. I finally feel like I’m starting to come out of the wilderness but the wilderness was very, very dark. Oh wow Holbart. This really got me. Well, that was totally unclear. I meant that holbart, in your original post, conveyed my experience exactly. Thank you again for another impactful post. 100% accuracy here. Tomorrow I am hosting a table at a TAG event, I’m both thrilled that maybe I can meet some more members of the clan, and absolutely terrified to be an imposter among truly gifted (I know – I’ve been following actively for over a year you’d think the imposter thing would lesson with your continual reaffirmations.) I just want to say I feel all of this list, regularly. So perfect. I hope you can enjoy yourself tomorrow. You belong in the clan! Read on Jens and let me know what you think. Glad you found us! I really don’t understand what’s so gee-whiz wow great about a so-called “rain-forest mind”. I got tested when I was ten, and again at 13 and again at 15, each time with the same result, that I was labelled “(extremely) gifted”. But given how much doubt I have, how many questions I have about myself and why i find myself stalled mid-career in information technology, due to psychiatric (trauma) and resultant medical problems, caused in part by several people who decided that my being “gifted” wasn’t to their tastes, I really don’t see how it can really be anywhere as positive as people (wrongly) believe it’s supposed to be. It hasn’t been that way for me, not for the last few years. So, these detractors/bullies/harassers took the time and effort to humiliate me, attack me, degrade me, all so they could promote their own mediocre minds as being ‘genius’, and I wonder if it’s really such a great thing to be “gifted”, because to be frank with you, I just don’t feel it. I currently identify with or have identified with each and every one of the things you list. Yet my worst detractors said, nastily,. ” You can’t be a genius because ….” (a) I am not famous, (b) I haven’t become a tech billionaire (c) what have I done LATELY (grad school coursework having been about twenty years behind me). Also, one just verbally battered and pestered me to the point where I was forced to concede (to get her and her bully brothers off my back) that I was no genius, and that the two brothers, one a multiple-time post-secondary institute drop out, the other a convicted felon, that I was to give up my “title” and my “status” as “genius”, and give it to them, so that by defeating me, crushing me, they could proclaim themselves geniuses. It’s hard enough when one has self-doubt, (aren’t geniuses or gifted people supposed to be perfect or damned near perfect? ), sometimes — as right now, for me — severe self-doubt. It’s made ten times worse by the enemies of a “rainforest mind” or as another blogger, Celi Trepannier, calls it, “crushing tall poppy syndrome”. It’s supposed to be a gift, but given what i went through in late elementary and early high school — severe (though not often physically violent) bullying — and what I went through from 2011 to 2104 with these pardon my language, bastards, I am not inclined to be very happy at all with my “rainforest mind”, and would, as I did when I was a pre-teen and early teenager, happily trade off a couple dozen IQ points for no bullying or harassment. Sorry if that punctures some people’s balloon. I am in intense emotional pain, am anxious, have PTSD and move in and out of mild depression. Psychoactive (anti-anxiety) medications help hugely while I wait for a government-allotted psychiatric referral (I’m in Canada), but I was recently hospitalized they took me off the meds, and I am back to my dark misery. It’s not a gift. It’s a damn curse, with some upsides. That’s exactly why I’m here. To provide support, understanding, and a place to feel safe to have your rainforest mind. Thanks, Johnquilm. For decades, literally, I thought I was a weirdo for not having been very happy being gifted / exceptionally gifted. After I read postings here and at Crushing Tall Poppies, I’v come to the realization that I am far from alone. “Gifted” is unfortunate terminology, because I think many of those who are gifted question both the utility and the accuracy of the term “gifted”. It’s a gift that comes, oftentimes, with a remarkably high social and emotional cost. But I appreciate your support, You are indeed a kindred spirit. How about instead of wasting time over arguing who is/is not “gifted”, we just encourage people to play to their strengths, challenge themselves, and work hard? Before anyone on this blog pounces on me, I have actually been called “gifted” by educators, taken the stupid exam in primary school, and took the “gifted” classes. However, thank goodness, my parents had the sense to never call me their “gifted kid”. It doesn’t mean a single thing. People who take gifted classes are not any more special than their non-“gifted” peers – who might be more diligent, brave, and mentally strong. The word “gifted” is extremely silly. Hi Emi. I appreciate hearing your thoughts. It certainly makes sense for people to “play to their strengths, challenge themselves, and work hard.” Let me just say that my intention with this blog isn’t about arguing who is or isn’t gifted. 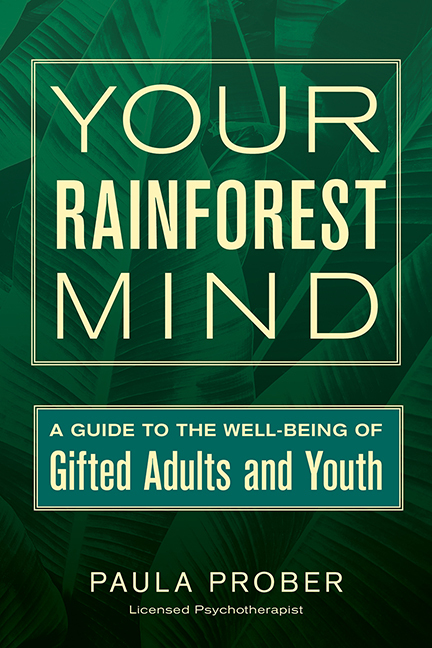 And it’s certainly not about saying that people who are gifted are “more special.” Over my years working in the schools and now as a counselor, I’ve seen people with what I call “rainforest minds.” They aren’t “better people.” If we use the analogy of people as ecosystems, all are valuable and beautiful. The rainforest-minded ones do often have some issues/problems that are particular to them. I examine those issues here in the blog in hopes that these folks will have a safe place to be seen and understood and to find self-acceptance so that they can live more meaningful, fulfilling, and compassionate lives. Only partly on point 7, but the rest are spot on! What really made an impression was when you talked about multiple interests and starting multiple projects, but never seeming to get anywhere. I am interested in things as diverse as creative writing, making music, a martial art called wing chun kung fu and fitness…and yet I am not a published author, I have no band, I am not certified as a wing chun instructor (even though I started studying in 1995), and I do not have a ripped physique that says, “THAT guy knows how to stay fit! Let’s pay him for his advice!” That is because any one of these pursuits could take up all of someone’s free time, and I am not sure which one to pursue. (For the moment I am pursuing wing chun, as you will see if you visit my blog.) I am a father of four and boyfriend to a woman who has two kids, so that alone should show you how full my plate already is. I need to find a way to overcome this fear, this shortcoming, this whatever-you-want-to-call-it, and I will. With an issue like this, a person needs support and guidance in the beginning. Hopefully as time goes on and confidence grows, the person can walk on their own two feet and wind up defeating the demon of low self-esteem. Good to hear from you, Steve. If you go to the search engine on my page and type in multipotentiality or multipotentialite you can read more on that topic. It might help you sort this all out. Also, know that there’s a continuum of rainforest-mindedness so not everyone is at the same level but they can still be gifted. Thanks for reading. Have you ever tried taking a basic IQ test? I’m asking because you mention scoring lower than your friend on a specific test… and an IQ test will give a good overall estimate of how smart you really are. You can’t really judge based on how well you do on a specific test in comparison to your friend, because maybe that subject doesn’t interest you as much, or maybe you misinterpreted some questions/answers, etc. I typically get tripped up on tests because I take their verbiage more literally than it’s intended. But I can also do extremely well on a multiple choice about a topic I know nothing about, simply because I have strong pattern recognition skills. Basically… you can’t really judge your intelligence by a test, and even IQ tests have their pitfalls. However, you’re more likely to get an idea of what your base skills are minus whatever scholastics you already know. Example, that pattern recognition I mentioned is one of the things an IQ test looks for. It is not based on my knowledge at all, but simply on the ability to recognize patterns, from the simple to the complex. I’m guessing you’re probably one of those that have issues settling down with one subject, because there’s so many subjects you’re interested in! I know this can be a tough spot to be in (I’m the same way). However, if you sit down and commit all your interests to a list on paper, eventually you may find a pattern to what you’re interested in that can help you figure out a career path. It doesn’t even have to be a standard career path… you can make up an entirely new field that combines everything you know in to one profession. Or you can just do it all as a freelancer, shifting from one field to the next as you complete projects. I think one of the best things we “multipotentialites” can do for ourselves is get our heads out of the box society has designed for us to wear on our shoulders, saying we have to get a 9-5 job, have to go to college, have to have a specific name for our work, etc. It is when you realize you have the ability to rise above those conventionalities that you really start to feel free and realize your own potential, imho. That is also when others will start to take notice, because now you are learning and doing a little bit of everything, when most folks can only focus on one, maybe two fields of study. It’s time to start seeing our ability to do multiple things as a beautiful talent unto itself, and stop worrying ourselves to death over our lack of expertise in any one field. It is in that ability to combine and mix different subjects and fields together that leads to true innovation. You make some good points here, Jonquil. Thanks for sharing. Jonquil, I have looked into it, but my insurance will not cover an IQ test. They are quite pricy out of pocket, and between my girlfriend and I we have 6 kids, so feeding/clothing/housing them ALWAYS takes precedence. However, the other thing you suggested (writing down all my fields of interests) costs no more than a pen and a piece of paper. A lot of my interests are based on East Asian culture like kung fu, Taoism and the Chinese language itself, but then there are other things that stray from that theme. We will just have to see. I’d like to share it with someone, but I don’t know if this would be an appropriate place. That is up to Paula. wcman1976, you could share your list but if it’s really long, which it may be (!) perhaps you could organize it into categories for the sake of the blog/length. I’m very happy to have readers interact and, yet, occasionally if someone writes something very long, especially if it’s rant-like, I won’t post it. It’s been pretty rare so far that that’s happened. I enjoy hearing what you have to say! Paula, I will write it out on paper first and organize it if it seems to be too unruly. Okay, I got my list of interests. Some will require a little bit of explanation…some are obvious. (1) Creative writing of all kinds: novels, short stories, screenplays, etc. (3) Reading. I read “highbrow” stuff like Thomas Pynchon and “lowbrow” like the nastiest of horror novels. To me, writing is writing, and I love to read anything. No discrimination there. (4) Martial arts. I have said before that I study wing chun. I would like to open my own school someday, which plays into another item on the list. (5) Fitness. Both the exercise and nutrition sides of that coin. Up until recently, I was an independent contractor with Team Beachbody, acting as the sales arm of their business to promote workout programs like P90X and supplements like Shakeology. As I got in better shape PHYSICALLY, I also noticed a benefit in my MENTAL fitness. I think a lot of people who are bullied suffer from poor self-esteem, so I came up with the idea called Bully Free Fitness, which would promote these products to help people overcome this obstacle. It grew and got more complex, but I won’t go into that here. (6) Chinese language. Ever since I got into martial arts, I fell in love with Chinese culture, including the language. I knew it once, when I was in college. I would like to relearn it and get a job related to that. (7) Acting. I write movies. I think it would be cool to be able to have at least a supporting part in them. (8) Starting my own business. Again, I won’t go into hefty detail here, but this is the Bully Free Fitness/martial arts school stuff again. 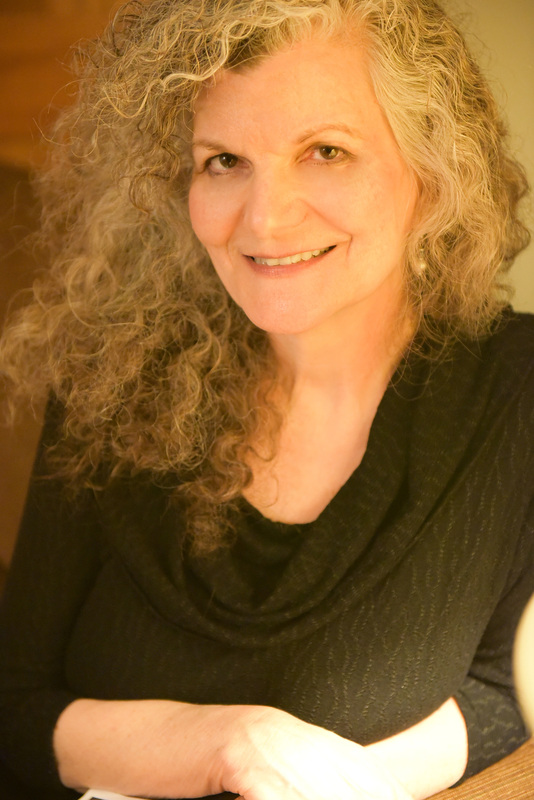 I also wanted to do freelance writing…not just ghostwriting novels/screenplays but also writing copy. (9) Comic books. I actually wrote my own and have an artist drawing one as we speak. And I think that is MORE than enough for now. Paula, please forgive me if that is too long-winded. If need be, I would be happy to move this to a private conversation with someone. This is fine! A great example of multipotentiality for sure! Thanks. The challenge for me has never been recognizing all my interests. It has been trying to pull the mess together into a cohesive whole. It is easy to tie fitness, martial arts and my business idea into one. But what about the creative writing? Or the music? That is when I start to get lost and directionless. I bet there’s a way to either add writing and music to your business or to include them in your life outside of your work. 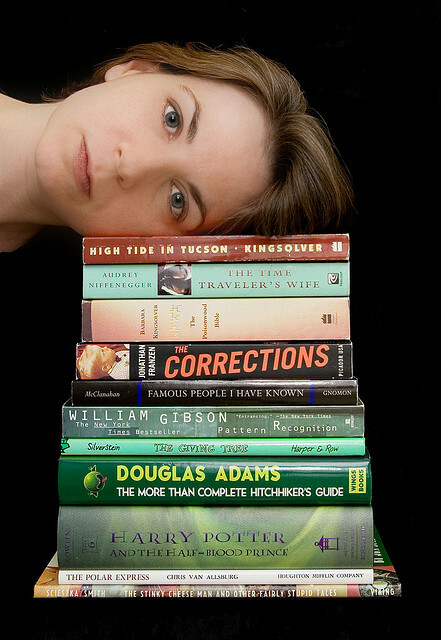 Do you know of the resource http://www.puttylike.com or the book Refuse to Choose by Barbara Sher? They both have good ideas on how to craft a career that works for a multipotentialite. I will check out that site and order that book! Thank you! I swear freelancing was invented for people like us. Check out sites like UpWork and Fiverr. I have been on there, but the problem with sites like that is you are scrambling to get a job from the next guy, which of course drives prices down. I was paid $750 to write a screenplay, which might seem pretty good…until you think of the fact that professional screenwriters can ask for money in the thousands, and no one even flinches. The next step in my freelancing life is to find the clients who are willing and able to pay the big bucks. It is just a matter of knowing where to look, a search that is in progress. The higher pay comes with experience and repeat clients. Yes, it is a pain to get started – I will agree with that wholeheartedly, and I would not recommend anyone starting with it as anything but part time work for a little extra cash. But as you gain experience you learn what kind of clients to look out for, and stop compromising yourself… you also start gaining repeat clients that are more than happy to pay you what you’re worth. And you can also branch out to local clients… where the big bucks really are at, because let’s face it: people are always going to be more trusting of someone that they meet with in person than on the internet. That has been my main problem: knowing WHERE to reach out to find local clients. I wonder if you want to talk more directly with Jonquil? If you both are interested in continuing a conversation privately maybe you could exchange Facebook contact information here? It seems like that might be a way to go into more depth and share ideas?? We can move this to a private conversation. My email is wcman1976@yahoo.com, and you can also find me on Facebook if you plug that same email into the Search engine. This whole article made me feel like a dunce.. Thanks for the advice.. I’ll go back to dreaming and depression and anxiety..
Oh, I’m so sorry! Try reading some other posts and see if that helps. I never did well in school. Life has always seemed more vivid than mundane. I almost failed the 6th grade (haha), not because of stupidity but because of innate rebellion. Instinctively I rebelled (and still do) against a system, a paradigm in which knowledge is condoned according to certain compartmentalizations. In which a conceptualization of consciousness is instilled within us in a most subtle way to infer the nature of originality. I didnt (and dont) like limitations. I hate tests. I took one IQ test at the age of 21; i scored a 99. I was also 2 days sober, withdrawing from alcohol, sick, restless, on medication to help with withdrawals, in an insane state of mind and overall apathetic towards the whole process. Haha. If I took the test today, in my healthy state of mind and body, I would score well beyond 99. Not the point; it’s just a test. Though, to some degree, accurate it may be its just a test, life is life and a worthy enough test full of wonderful lessons. I relate with all of the points made, but one which holds prominence in my life at present is my self doubt, my fear of speaking my mind around people who may judge or criticize. For example, there is someone in my life, he’s very smart with a honed rhetoric and complex grasp of verbiage and (I don’t like being rude), sometimes doesn’t shut the hell up. It doesn’t matter who he’s around, the exact opposite of me. It’s not that I don’t keep pace with him, I do, I just find great uncomfort in opening up to people (especially just anybody) in that manner. I have found very few people in my life that I can wholly, with sound comfort, open up to. I have always been ‘misunderstood’ and made fun of. Obviously, by using some simple objectivity, this persons presence in my life right now, correlated with my current insecurities, is one of those tests, those lessons I mentioned. I think, I know I will find the right balance between too many words and too few and find a calm surety in my own voice. That sounds like a good plan, Jakob–to find balance and your own voice. It can be hard if you have many experiences of being misunderstood and being made fun of. But if you understand your rainforest mind, you can start to face your self-doubt! Thanks for writing. Sorry but this is not accurate information. For example, number 7, 8, and 9. I am a high school student and I have been officially marked as gifted. But I have trouble finishing projects. I also have multiple interests, and do not know what to pursue in college. I don’t know how you got this information… but it is partially false. You aren’t just “gifted.” You can be gifted at certain things, but being gifted does not give you all 10 of those traits. Hi Daniel. Thanks for your comment. I didn’t mean to imply that everything on the list would apply to every person! While there may be similarities in some issues and traits, giftedness is complex and so there isn’t a one size fits all. And, yes, people can be gifted specifically at a certain task or activity, instead of, say, having an overall intellectual advanced ability. It’s all very complicated. I’m hoping that my blog provides some ways to think about it and support for people who have rainforest minds but I’m sure there will be differing opinions and misunderstandings along the way. Glad to have you here. I can seem very intelligent at times, and I feel I am, then suddenly I’ll think or say something very ignorant or plain idiotic and everyone will just stare. It really hurts when people call me dumb, unless they are close friends and know how I feel. I have pretty terrible self-esteem, and try make jokes out of everything to avoid awkward silences with people. i don’t even know why I’m wiriting this, is should be in bed, oh well. Thanks for your comment, Bridget. We all have our idiotic moments! I’m so sorry you’re having a hard time right now. I don’t get it. What did you say? I’ve known my whole life that being smart wasn’t enough to be successful. Her I am, unsuccessful again. What can I do? I’m running out of years? It’s never too late. One idea: Think about how to define success. Perhaps you’re more successful than you think. So, what do you do when you used to be a multipotentialite, but you can’t do it anymore, because you’ve been run down by the world, and that light that used to drive me from amazing subject to amazing subject has been ground out and extinguished by what was needed of me? How do you get that back? It can be hard to get it back if you’ve gone through a lot. But you CAN GET IT BACK. You have to believe that you can and then there are many things you can try. Depending on what’s happened, you can try psychotherapy or coaching, journaling, reading about giftedness, support groups, Facebook groups… Also there’s a great resource for multipotentialites. Try Emilie Wapnick’s puttylike.com. You can do it, Dan! This is so true. I feel so stupid but other people think i am am not. Yes! And I believe that the “typical description” is not accurate. Thanks for sharing, Chelsea. Most of the things you wrote for gifted people are myths. Just because someone is gifted doesn’t mean that they are perfect. I, for one, am gifted, and none of the things that you said gifted people are or do are true. Alina. I think you may have misinterpreted this post. I agree that gifted folks aren’t perfect. I was actually listing the myths and then suggesting what’s real for people with rainforest minds. Perhaps I didn’t make it clear enough. I thought I made it clear in the end what I was meaning but maybe not. I’ll see if I might rework this so it’s clearer. Or actually, I list the gifted traits first, and then the myth after.